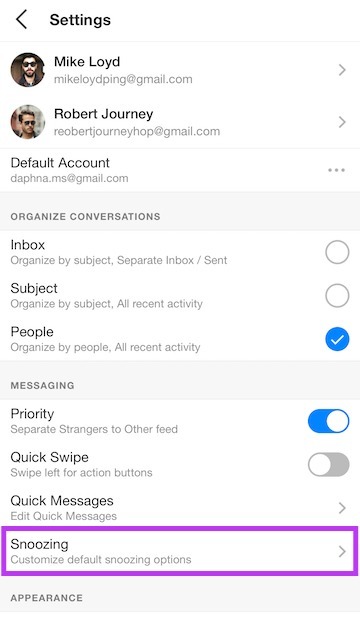 Swipe right and the main menu will be displayed with your linked accounts. Tap on the ‘Settings’ icon. Scroll down to the ‘Messaging’ section. Here you will have ‘Snoozing’ which will allow for customising default snoozing options. Click on your image at the top left corner. Click on the ‘Settings’ icon. Click on Snoozing and customize the default option.